It’s been more than five months now that the students at our Roche Bois education center are following classes on programming. The ELI Code program was introduced to our students in February and since then, it has become one the favorite classes of our students. 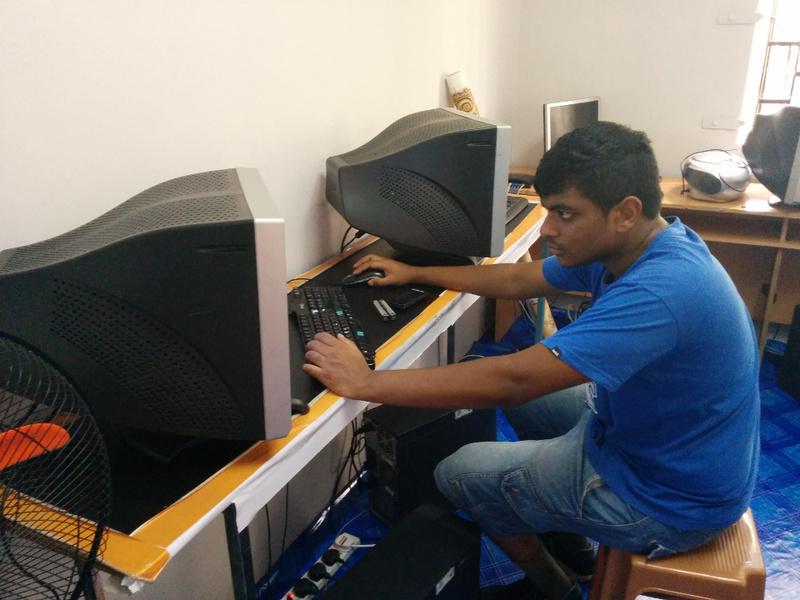 In his previous blog on ELI Code, Cedric shared with us how the students successfully created their own HTML pages and today Michael Chavrimootoo tells us more about how our students are benefiting from the ELI Code classes. When the first session of ELI Code was held, the children were primarily introduced to the idea that programming is more about thinking than writing, and that programming is a tool to implement one’s imagination. They were shown how to make simple web pages using basic HTML and how to animate characters in the Scratch development environment. Programming, like all skills or hobbies, has its audience and we do have a very high number of students interested in the class. It feels great to see the enthusiasm of the students before the start of the class every Friday afternoon. “The students are not afraid to try new things. On the contrary to they are excited to explore and experience their abilities. One of our students, Gregory, has always amazed me. Despite his weak English, Gregory can actually work around in Scratch and write small scripts. Even though he was absent for six weeks from class, Gregory still remembered everything we taught him, and he tried to write bigger scripts. He has a free mind and enjoys trying. He is not afraid of failure. Instead, he embraces it, and tries again”,says Michael. At ELI Africa, we aim to make a difference in our society through education and encourage everyone to aspire big to achieve big in life. This is also our objective behind the running of the ELI Code Program. “With the IT sector rapidly expanding,our students will be learning essential skills at an early age, and they will easily become experts in the field. And even if they don’t end up being programmers, they’ll have learned a rather impressive skill they can be proud of!”, adds Michael. In the coming days, the students will dive deeper in the world of programming. “I want to teach these children more about the fundamental concepts. I believe that if one knows the fundamentals well, one can code anything. I want the students to view every task or problem as a conglomeration of the primitive programming constructs. I’ll then expose them to real life situations, like programming robots using Arduino, but that’s for later!”, concludes Michael.